Obtain the latest techniques of the Driver CPC training at Dhoot Driving School centre in Feltham, London, along with LGV/HGV training and PCV training. Advent of new researches and technologies are an ongoing process in automobile industry, simultaneously you need to get yourself updated. Driving in traffic is more than just knowing how to operate the mechanisms which control the vehicle; it requires knowing how to apply the rules of the road which govern safe and efficient sharing with other users. An effective driver also has an intuitive understanding of the basics of vehicle handling and can drive responsibly. In terms of the basic physical tasks required, a driver must be able to control direction, acceleration, and deceleration. Driving as a mental skill is like a constantly re-adjusting flowchart. To suffice all your needs obtain the refresher training courses at Dhoot Driving School centre in Feltham, London where we will provide Driver CPC training, PCV training with LGV/HGV training. (A) LGV/HGV training: When driving larger vehicles, the maximum authorised mass (total vehicle weight plus the maximum load it can carry) influences the driving licence entitlement needed by you. The HGV training is a distinctive form which requires 7 to 8 months to complete and you can get the permit to go by car industry. Whereas the LGV permit for the largest vehicles are split up into two categories, C and C+E. As the name suggest, the license for this training depends on the weight specifications of the vehicles only. Some of the categories of training that you can avail are C1 ­+ E – license, C1 + E – 7.5t + trailer, C up to 32 tons, C + E truck and trailer. 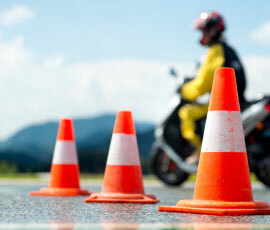 (B) CPC Driver Training: CPC is the abbreviated form of Certificate of Professional Competence. This training stands for the competent professionals. It is mandatory to acquire the certificate of CPC Driver Training, along with PCV, LGV/HGV Training certificates. It is not a very simple task to become a driver CPC training provider, for which the centre should be approved by JAUPT (Joint Approval Board for Periodic Training). To get this training certificate, you have to undergo an extensive training of 35 hours, within a course of 5 years. There are CPC driver modules and the driver CPC case studies for your reference in this regard. There are the CPC theory tests that you have to pass and in that case, initially you can avail the driver CPC modules 4 and 2 in this regard. (C) PCV training: PCV is the abbreviated form of Passenger Carrying vehicle training that would permit the qualified course candidate to handle hefty vehicles in classes D1, D, D+E and D1+E. Holding a bus or coach driving licence will allow you to work for a company or organisation driving your vehicle locally, nationally. As a coach driver, you can drive long distance such as a day’s trip or to holiday destinations. As a bus driver you can drive locally, scheduled services or school services. Moreover, we provide study materials in different language other than English but also classroom coaching because the trainers of our school are multilingual so our students get flexibility to communicate and understand the concepts. Our Dhoot Driving School module is well aware of this aspect and its importance that is why, their learning modules is well equipped with full fledged theoretical information about driving. A professional driver should set an example to other drivers. At Dhoot Driving School centre in Feltham, London our trainees are accessed to pass the driving test in order to avail the driving license. You should make sure that the vehicle is driven with maximum safety, courtesy and consideration for everyone else on today’s busy roads so we provide vehicles which are fully equipped with the latest mechanisms so as to ensure that there are no mishaps. 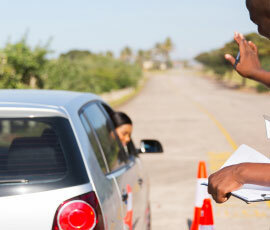 After completion of training we arrange for a driving test. All the trainees have to pass the driving test to avail the driving license. We also provide pass protection and PCV pass protection service for those who cannot pass the exam at the first time. If any trainee does not satisfy by our service or he/she could not pass the exam, in that case we refund the money. We attempt to provide our best services.